Indian officials will hold bilateral meetings with a few countries, including China and some ASEAN members, in the coming days to iron out issues hindering negotiations of RCEP mega trade deal, an official said. The Regional Comprehensive Economic Partnership (RCEP) is a mega free trade agreement, which aims to cover goods, services, investments, economic and technical cooperation, competition and intellectual property rights. 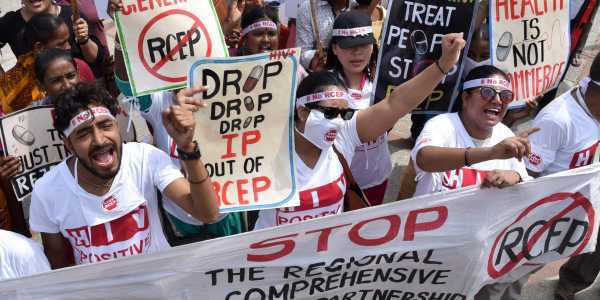 After the bilateral meetings, the RCEP members will meet for the 25th round of negotiations in mid-February in Indonesia, the official added. RCEP bloc comprises 10 ASEAN members (Brunei, Cambodia, Indonesia, Malaysia, Myanmar, Singapore, Thailand, the Philippines, Laos and Vietnam) and their six FTA partners - India, China, Japan, South Korea, Australia and New Zealand. The main issues that needs resolution include number of goods on which import duties should be completely eliminated and norms to relax services trade. RCEP members want India to eliminate or significantly reduce customs duties on maximum number of goods it traded globally. India’s huge domestic market provides immense opportunity of exports for the member countries. However, lower level of ambitions in services and investments, a key area of interest for India, does not augur well for the agreement that seeks to be comprehensive in nature. Under services, India wants greater market access for its professionals in the proposed agreement. Trade experts have warned that India should negotiate the agreement carefully, as it has trade deficit with as many as 10 RCEP members, including China, South Korea and Australia, among others. "India should not try to negotiate trade offs between goods and services as it may prove counter-productive in the long run. Trade off should be negotiated either between goods or between services," an expert, who did not wish to be named, said. India wants to have a balanced RECP trade agreement as it would cover 40 per cent of the global GDP and over 42 per cent of the world’s population. India already has a free trade pact with Association of South East Asian Nations (ASEAN), Japan and South Korea. It is also negotiating a similar agreement with Australia and New Zealand but has no such plans for China.